The brand is claiming a strong and unique identity. A quick look at the logos and designs is enough to understand that Wicked One shares its cultural roots and values with the streets. Traditional Muay Thai shorts from the brand new Wicked One Collection. 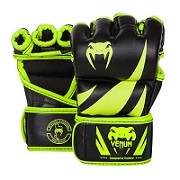 Funky design with intricate Muay Thai embroidery. Wide elasticated waistband ensures a secure hold without slipping. Rounded side cut for better mobility and freedom of movement. Side mesh strips provide for optimal temperature regulation. 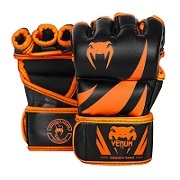 Funky design with intricate Muay Thai embroidery. Rounded side cut for better mobility and movement. Wide elasticated waistband ensures a secure hold without slipping. Side mesh strips provide for optimal temperature regulation. Available in 5 different Sizes - S, M, L, XL, XXL. S = 50 - 59 kg, M = 60 - 69 kg, L = 70 - 79 kg, XL = 80 - 89 kg, XXL = 90 - 105 kg.